Comply with Regulation 1223/2009 and access the EU market with confidence! Designate a trustworthy Responsible Person? Create compliant labels & artwork for your products? Notify your products on the CPNP? Review your claims to comply with Regulation 655/2013? Create your PIF and conduct a Safety Assessment? Since the Regulation 1223/2009 on cosmetic products came into force in July 2013, a Responsible Person (RP) must be designated for each cosmetic product placed on the EU market. The Responsible Person is in charge of ensuring compliance of the cosmetic product in accordance with articles 4 and 5 of the Cosmetic Regulation. EcoMundo with its 2 offices (Paris, France and Vancouver in Canada) provides services in both French and English. Our Responsible Person services cover the 31 countries of the European Economic Area (EEA) and enable you to sell your cosmetics throughout the entire European market. EcoMundo guarantees your compliance before the European authorities and therefore makes sure the product is safe for human health. The Product Information File is a key-element that is necessary to place your cosmetic products on the European Market. The Cosmetic Regulation (EC) 1223/2009 sets the legal framework in Article 11 and requires all actors of the cosmetic industry to constitute a Product Information File (PIF) for each cosmetic product. The PIF has to be kept by the Responsible Person for a period of ten years after the last batch of the product was placed on the market. Attention: If you are not compliant before placing your product on the EU market you risk a complete interruption of your supply chain and it can affect your business. Our experts can help you avoid this issue and reach full compliance. The Cosmetic Product Safety Report (CPSR) is the main part of the Product Information File (PIF). Divided in two parts, it is a mandatory requirement from the Cosmetics Regulation 1223/2009. Part A of the CPSR aims to gather all the data necessary for the safety assessment and consists in 10 sections. Part B is the safety assessor’s conclusion on the safety of the product and consists of four sections. The assessor must hold a diploma (e.g. pharmacy, toxicology) recognized by a Member State. Our experts are highly qualified to serve you and are used to draft CPSR on a daily basis. Ensure the safety and the compliance of your products by entrusting EcoMundo. The Safety assessment is the part A of the CPSR and is mandatory. It aims to prove that the cosmetic product is safe. EcoMundo’s pharmacists and toxicologists are here to assist you and will take care of the drafting of your Safety Assessment. As a trustworthy Responsible Person, EcoMundo guarantees full compliance for your products throughout the European Market. The labeling and packaging of your products is regulated by the Cosmetics Regulation. If the marketing process is highly important when it comes to the label and packaging of your product, some rules must be strictly observed. Depending on the country you export to, you’ll face different requirements with regards to translation. EcoMundo will review all your labels and will provide you with a useful checklist in order to bring your artwork and pack into full compliance. The making of cosmetic products claims as well as claim substantiation are mentioned in article 20 of Regulation 1223/2009 but also in a specific regulation dedicated to claims: EC 655/2013. This regulation aims to ensure that the information conveyed to the end users through the claims is useful, understandable and reliable. It must enable them to make informed decisions and to choose the product that best suits their needs and expectations. Our experts are specialized in claims review and can help you save time and money by avoiding claims you should not be using in the first place. The Cosmetics regulation No 1223/2009 requires that any company willing to place a cosmetic product on the market notify it online via the Cosmetics Products Notification Portal (CPNP) before doing so. The CPNP is a website that only Responsible Persons and Authorities can use to access product’s information. EcoMundo as a Responsible Person will take care of the whole process and register the products for you on the so-called CPNP. Introducing COSMETIC Factory, our new software to ensure your compliance with Regulation No1223/2009! If we didn't love our clients why would we be in the business? We walk along side our clients and work together to find the best solution. Challenges: Bringing to compliance 5 wearable beauty masks created by a luxury brand with the European Cosmetic Regulation 1223/2009. Solutions: First, EcoMundo reviewed the formula and conducted comprehensive research on the fabric of the masks. Then, labels and claims were adapted to EU requirements, in close collaboration with NANNETTE de GASPÉ’s executive team. Once we had all data, our turn-key solution was implemented to compile the Product Information File (PIF). Our Safety Assessor confirmed the safety of all 5 masks, which meant the products complied with the Cosmetic Regulation. The final step consisted in notifying the products on the Cosmetic Product Notification Portal (CPNP). Results: As every step of the process is conducted internally, delays are reduced and confidentiality is assured. 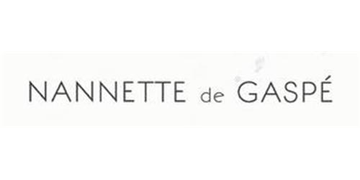 NANNETTE de GASPÉ successfully launched compliant products in Europe. 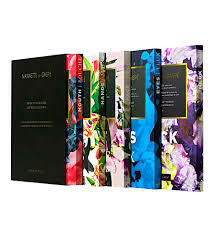 Check out NANNETTE de GASPÉ beauty masks! Challenges: Willing to launch their perfumes on the European and the international market, Detaille requested a Security Assessment for 6 of their perfumes within only a couple of business days. EcoMundo was appointed to conduct this Security Assessment consisting of several toxicological evaluations of the perfume ingredients. 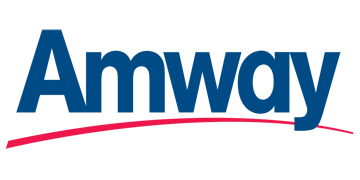 Solutions: EcoMundo developed a personalized strategy for its client in order to optimize the lead time between the collection of the data and the Security Assessment. The data collection process was centered on the most relevant and fundamental information in order to establish the Security Assessment. During the first round of meetings, EcoMundo selected a list of ingredients that had been approved by Detaille. Moreover, keeping a sustained contact and coordination with Detaille helped the rapid collection of the data and the toxicological evaluation of the perfumes. Results: As EcoMundo managed to deliver the Security Assessments of the 6 perfumes within the deadline, Detaille could start off the successful launching process of their perfumes. Challenges: In order to market its products in the European Union, PHD SKIN CARE needed to comply with the European Cosmetic Regulation 1223/2009. EcoMundo was mandated to represent PHD SKIN CARE as their Responsible Person and to perform Product Information Files, Toxicological Evaluation, Labeling Correction and CPNP Notification of their face and body products including sunscreens packaged in innovative aerosols, the so-called “Never Miss a Spot” patented technology. Solutions: EcoMundo began by overseeing the process of collecting data from the brand and different formulators through a kick-off meeting and follow-up with regular conference calls. 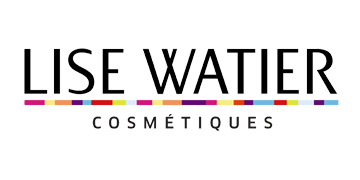 An effective methodology was put in place to carry out the evaluation of these specific products taking into account the recommendations of the cosmetic associations, the different regulations involved (e.g. Aerosol Directive 75/324/EEC, Recommendation 2006/647/EC regarding sunscreens, etc.) but also some specific requirements specifically drafted for sunscreens and coming from the distributor, i.e. BOOTS UK. Results: The Product Information Files and the CPNP Notification were completed within the very tight timeframe set by PHD SKIN CARE, enabling a rapid placing on the UK market! 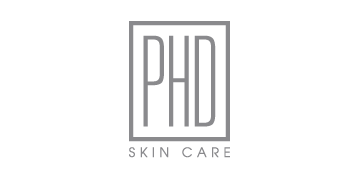 Check out PhD SkinCare's products! We ensure 100% of the regulatory work in-house which means you have a single point of contact who masters the compliance process from A to Z. The work is performed by our expert team of cosmetic chemists and toxicologists. We rely on our home-made online IT tools to streamline the process (data collection, toxicological database). 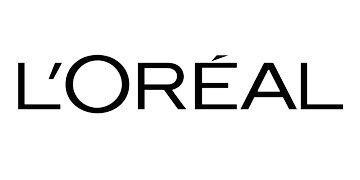 We work with big names in the industry such as L'Oréal as well as smaller ones. We come highly recommended by the US Commercial Service for the quality of our work and our approach to teach the Industry (webinar, training, etc.). Thank you for all your hard work in helping us get to market within our very tight time frame. It has been a pleasure working with EcoMundo. You have made what appeared to be a very daunting process much easier. To go further discover our software COSMETIC-Factory and ensure your own compliance! Read our articles about the Cosmetics regulation.